In 2009 my son went on a school camp to Kalgoorlie Western Australia. The group learnt about the Kalgoorlie Gold Rush that commenced in 1893 after Paddy Hannan discovered gold in the region. During the camp his group visited an old public abandoned mine site in the wilderness where prospectors lived and mined in the early 1900's. 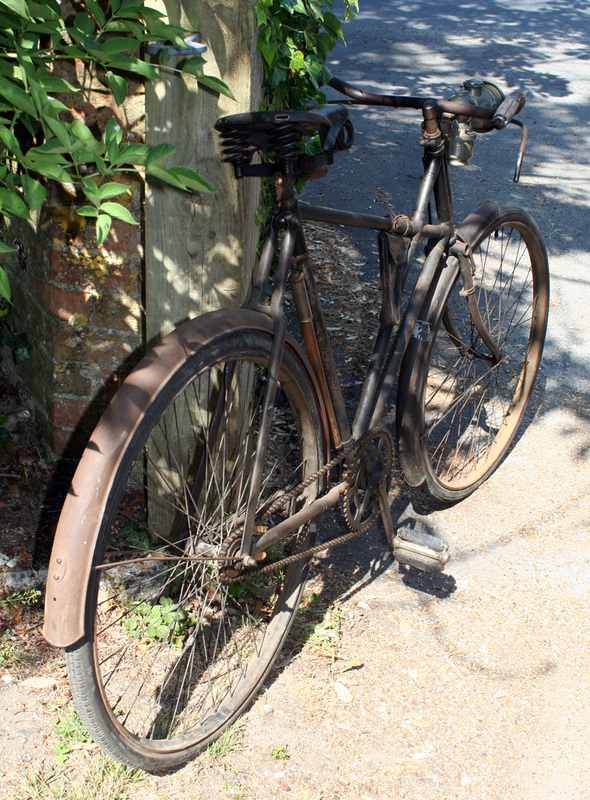 Whilst at the site he wandered off and found this old rusty steel frame partially buried in the ground nearby. 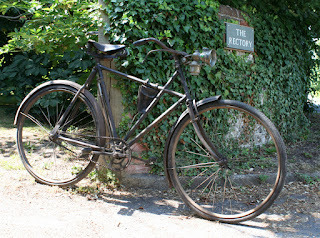 Recognising it as an old bicycle saddle frame he bought it home for our display shelf. After years of exposure to the elements the patina of this piece is fantastic, the rusted metal has solidified and almost has a permanent shine to it. 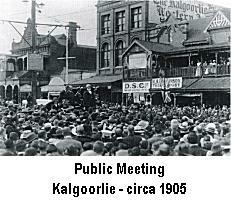 Kalgoorlie was a thriving metropolis in the early 1900's due to the gold rush. During this period the town itself had a population of about 30,000 however the total population of the surrounding region was around 200,000 that was mainly comprised of eager prospectors. 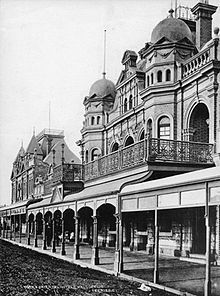 At the time Kalgoorlie was a busy town where grand hotels lined the busy streets. Chinese immigrants and other new Australians from the east coast flocked to the area in search of riches. The atmosphere was of the wild west where gold stealing bandits, prostitutes, and gamblers mingled amoung the many prospectors. Of course many prospectors were poor and lived off their prospecting earnings from week to week. Most of them walked to their mining areas, however, the lucky few were able to afford bicycles for transport. 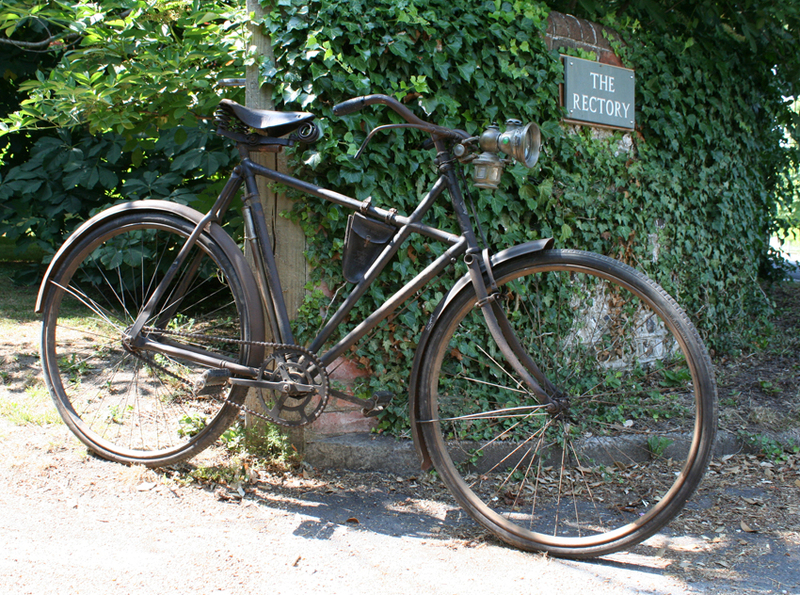 I've located this image at http://www.oldbike.eu/ of an old Raleigh X frame bicycle circa 1900's and the saddle frame is almost identical to the frame above. I would image, however, that the saddle frame located in Kalgoorlie would have been fitted to a standard roadster type bicycle frame from the period. 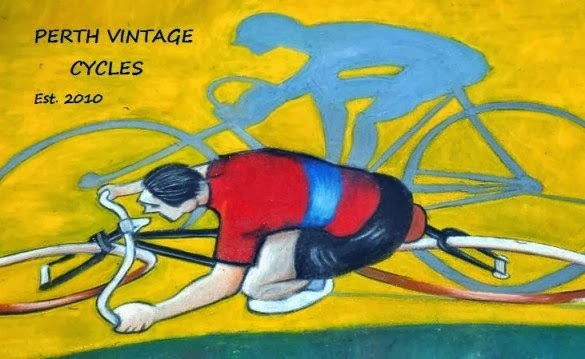 http://www.oldbike.eu/ is a fantastic on line bicycle museum that documents the history of bicycles and is well worth a look. ﻿ .......and from something old to something new. On the shelf next to the old saddle frame stands a new cycling figure that I bought in Bali in 2010. A nice piece sculpted from brass. Until next time ride safe.